Fueled by the success of Alibaba, the Chinese e-commerce market simply cannot be ignored if you’re thinking about entering the Chinese market. As an entrepreneur or startup founder, it must have crossed your mind to make a move in the walhalla of e-commerce, and profit from China’s strong online business position. Jelmer de Jong from AsiaAssist shares his expertise on why and how (not) to start in China. When me and my co-founder worked at Coolblue (data analytics and sales), we’ve learned how successful e-commerce can be. As students we travelled Asia extensively and became fascinated by its economic expansion. In 2015 we decided to leave our jobs in The Netherlands to live and work in China. Our company AsiaAssist now has an office in Shanghai! Now we all know Alibaba. And not just us entrepreneurs, consumers all around the world do. But lets focus on the consumers in China. For me, it’s the question when e-commerce entrepreneurs will make a move to be active in this country, rather then why. But for the ones still not convinced: let me tell you exactly why you should make such a move. China is home to almost 1.4 billion people. In 2016, 466 million online shoppers spent 704 billion euro online. This year, the country is on its way to spend 1 trillion dollar. China is the largest country in the world by population, number of internet users and e-commerce sales. The spendings on e-commerce are bigger than in the USA and over 35x bigger in The Netherlands. By 2020 e-commerce will be a major retail channel in China, driving 42% of total consumption growth, 90% of that growth coming from mobile e-commerce. The interest in unique, high quality consumer goods is rapidly growing. China is going crazy for a big diversity of western brands. Think IKEA, Nike, H&M, Zara, Starbucks, Coach and Apple. Think Sonos, Philips, Royal Canin, Mammut, Oakley, Dyson, Michael Kors and Maserati. China has an upcoming middle class: the young Chinese professional has a lot of purchasing power, decides quickly and is always online. Mobile is by far the dominant sales channel. International brands in China grow mainly through online presence, often supported by flagship stores on e-commerce platforms like Tmall.com, JD.com or others. It’s a more cost-friendly move to be online-only in China, instead of opening a physical shop. This is mainly because desktop computing and cable internet mostly has been skipped by Chinese customers. Here you can buy a smartphone with internet for as little as 80 euros. China is the country of countless opportunities. It’s really hard to ignore. For instance: there are other festive days we don’t know in the west, like Singles Day on November 11, causing major upticks in e-commerce spendings. It’s the biggest online shopping day in the world. Spendings on Singles Day surpass the spendings on US phenomena like Black Friday and Cyber Monday combined. Let that sink in for a while. Also, in China, same-day delivery has been there for some years, unlike in the rest of the world. Sometimes it’s a matter of hours before the ordered goods are delivered. This means that a huge market is already used to short delivery times. Thus they are more likely to make a fast online purchase. What you should know, is that entering the Chinese market is not always easy, even for large organizations. Just because China has the mass, it doesn’t mean you’ll automatically succeed. Your Chinese e-commerce adventure needs careful planning. Here are the most common misunderstandings and mistakes. 5. Lack of understanding the online business and internet culture. That’s because everyone seems to be blinded by Alibaba. You really need to think before acting. Just opening a shop on Alibaba or JD.com won’t solve your problems. It’s necessary to check the feasibility of brand’s market potential. If an entrepreneur fails in Germany or Belgium, and expects that a move to China will just work… well, they’re wrong. You’ll have to think of mapping chances, competitors and coming up with a pricing strategy for the optimal ROI. China really is the promised land of e-commerce, however success in China is not to be taken for granted. It’s that simple. So the one thing that every business should be aware of is that China does not just offer one channel, there are literally dozens of suitable channels. Before entering China, companies should have a strategy first. There are still a lot of big brands who fall for this. For instance the German technology retailer MediaMarkt failed in China and left the country after 3 years and a loss of 40 million euro. The reason? A lack of strategy and failing to adapt to the Chinese culture of online shopping. According to me, that’s still the wrong approach. In most cases, I recommend selling to Chinese customers directly. For most entrepreneurs doing business in China, it’s very popular to start an online store via platforms like Tmall Global (part of Alibaba) – the ’cross border version’ of tmall.com. It is seen as a springboard to China, but it doesn’t always act that way. There are only a few companies which make a profit after a short period of time via those platforms. The thing is: it all sounds nice but you reach way more people if you sell directly to the Chinese consumer via a focused multi-channel strategy in China. Also: people tend to stick to the things they know, like selling through Alibaba and its brands. While these are indeed the best known players, in the Chinese e-commerce market, it’s just the tip of the iceberg. There’s a whole lot to discover. Isn’t that what entrepreneurship is about? 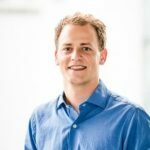 Jelmer de Jong is co-founder and director business development at AsiaAssist, a company helping SMEs and big companies with its strategy to land in the Chinese e-commerce market. It can run multiple e-commerce platforms, acting as an extension of an organization. AsiaAssist is the only Dutch official TP operator of Alibaba and is thus officially licensed to open and operate webshops in China on the platform of Tmall.com.